It’s been quite a year, in archaeology no less than in everything else – from new ideas and dramatic discoveries to the loss of treasured ruins and deaths of valued colleagues. So how did it look through the pages of British Archaeology? 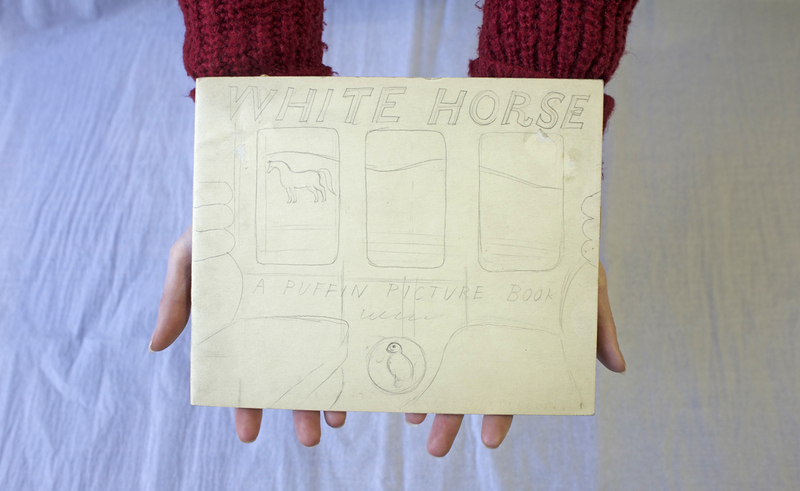 A dummy for an illustrated book about white hill figures, well known to fans of Eric Ravilious but long assumed to have been destroyed – perhaps lost at sea with Ravilious in 1942 – surfaced at an Essex auction house. It was acquired by the Wiltshire Museum in Devizes. Time Team’s last dig, at Brancaster, Norfolk, in 2012, included an extraordinary ground penetrating radar survey at the Roman town. At various depths across 17 acres (7 ha) were revealed a large principia building, column bases and a buttressed wall around a pool or garden, and a cross-flue hypocaust heated floor. This was the survey to convert any lingering doubters to the potential of GPR. A series of prehistoric metal hoards from Wiltshire and Hampshire – the largest, the Tisbury hoard, held 114 swords, spearheads, axes and other items – made us think about what these strange hoards mean, with some rare contextual evidence from excavation. Excavation finished at Queen Victoria Street, a 3 acre site (1 ha) on the banks of the former Walbrook in the City of London, having produced a huge quantity of Roman finds and structures, from writing tablets and shoes to textiles and toilet wipes. Parchmarks in the grass proved (to me, anyway) that the great sarsen circle at Stonehenge really was at one time a complete ring. Continuing excavation of an Anglo-Saxon cemetery at Oakington, Cambridgeshire, revealed details of the tragic side of pre-modern childbirth. Archaeologists at Lyminge, Kent, continued to investigate a well preserved Anglo-Saxon royal complex. Finds included the foundations of three timber halls which succeeded each other on the same spot; it may be possible to name the kings who lived in them. In Wigtownshire, near the coast in south-west Scotland, some low mounds turned out to be the equivalent of Glastonbury lake village, stone hearths layered up over time surrounded by wooden floors. Excavation on Dorstone Hill, Herefordshire revealed that two long barrows (neolithic burial mounds, 4000–3600BC), had each been raised over the remains of a timber aisled hall. Charred wood preserved roof rafters, rudimentary crucks and a wall-plate fragment with carpentered notches. 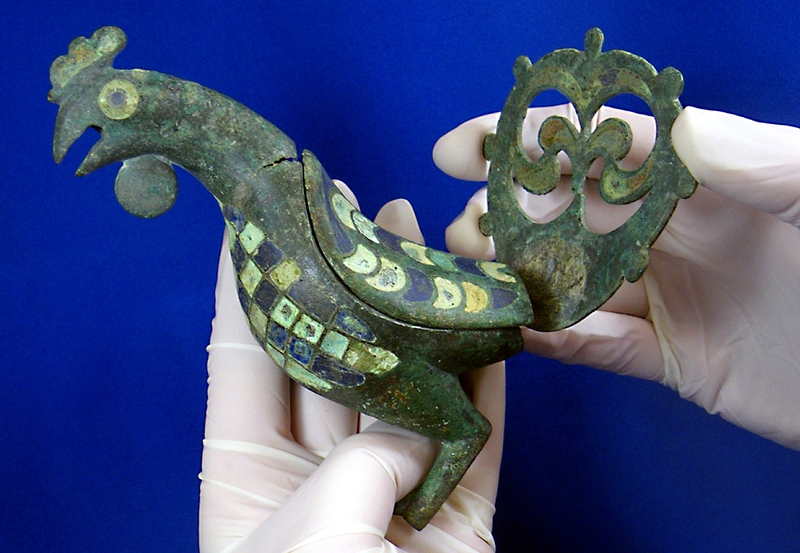 We learnt about an iron age “mirror grave” excavated in Dorset in 2010. The fine decorated mirror, along with the other remains, was acquired by Dorset County Museum. Among some remarkable new objects were a charming little decorated Roman perfume flask and a carved stone Roman eagle from London, a stone boy’s head from Binchester Roman fort, Co Durham and a three-part decorated bronze chicken from Cirencester (Roman again); a mesolithic flint axe blade from the bed of the North Sea (presumably lost when the area was dry land); and a prehistoric wooden paddle from Bradford Kaims, Northumberland. A unique human mortuary assemblage was excavated at Cliffs End Farm, Kent, in 2004/05, but I had to wait until 2013 before the archaeologists were ready to reveal their finds. In one of the pits, an elderly woman had been buried with a juvenile in front of her chest, and a teenage girl at her feet with her head resting on a cow’s head; the woman pointed at a group of male body parts, and further down the pit below her feet lay another juvenile. These people died in the late bronze age (1100–800BC). Oh, and nearly forgot. 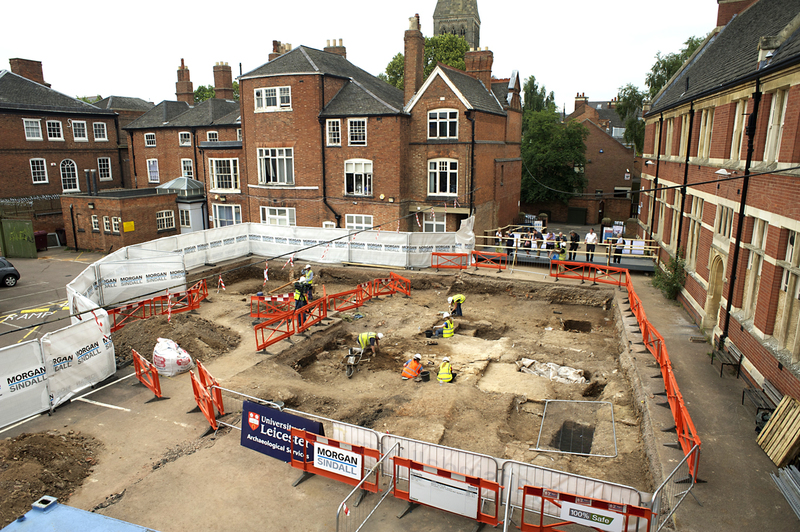 In 2012 Leicester University Archaeologists – acting on a hunch from writer Philippa Langley – found a male skeleton among the foundations of Leicester Greyfriars. In 2013 they announced that their research had shown the remains to be those of Richard III. Further excavation in July uncovered more of the friary, and among graves examined was that of an unidentified woman laid inside a lead coffin within a stone coffin. 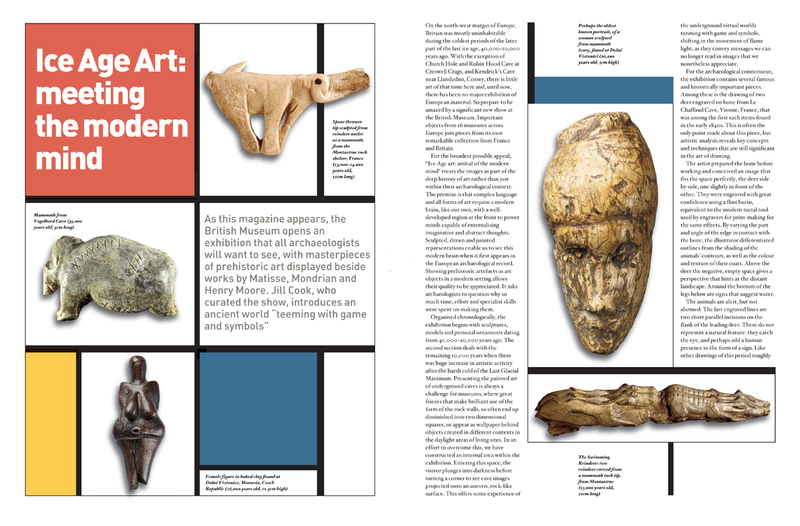 The British Museum’s “Ice Age Art: meeting the modern mind”, assembled a complete wonder of fine art and objects, that drew praise from critics and larger than expected crowds of visitors. Perhaps we will soon see a new wave of imaginative prehistory displays – long overdue. The BM’s “Life & Death in Pompeii & Herculaneum” was also a major hit, but we expected that – though it was nonetheless spectacular for it. We interviewed Jeremy Deller and Caroline McDonald (Museum of London curator) about the artist’s Venice Biennale exhibition, “English Magic”, a theatrical mixture of prehistoric stone tools, photos of people and megaliths, music, film and more. It tours the UK in 2014. A £27m Mary Rose Museum opened in Portsmouth Historic Dockyard in May, and in December English Heritage opened its new £27m Stonehenge visitor centre; nearby, Wiltshire Museum opened four new galleries displaying its Stonehenge-related treasures. Artist and archaeological illustrator Alan Sorrell finally got a show to reveal the full range of his work, at Sir John Soane’s Museum, London (open till January 25). We celebrated the centenary of the Ancient Monuments Act 1913. A slight fudge, perhaps (the original, ground breaking act was in 1882, and this was, to give it its full title, the Ancient Monuments Consolidation & Amendment Act 1913, to be followed by others of at least equal moment). But this was not a year to begrudge English Heritage the opportunity to blow its trumpet on behalf of protecting our historic and ancient landscapes. Later in the year, English Heritage announced it would self-destruct: the commercial and public side is to be let loose as an independent charity, while expertise will remain within governments’ reach. A full scale bronze age boat replica, based on remains found in Yorkshire, was launched successfully in Cornwall, while a half-scale replica of the bronze age Dover boat sank on its maiden voyage in Kent; taken apart and re-caulked, it later floated. Continuing conservation of the Staffordshire hoard reminded us how exceptional this 2009 find is, and how much it has to tell us. Dirt from tiny pieces of gold is being prised out with garden thorns. My favourite archaeological book of the year: Under Another Sky: Journeys in Roman Britain, by Charlotte Higgins (Jonathan Cape). This is writing that brings 5-star reviews on Amazon, such is the world we now have to navigate. Mick Aston’s unexpected death in July affected all friends of archaeology, and, it would seem from media interest, more besides. He will be very much missed. Other prominent British archaeologists we will miss include Arnold Aspinall, Hector Catling, Peter Drewett, James Dyer, Tony Legge, Thurstan Shaw, Malcolm Todd and David Whitehouse. The next British Archaeology (out February 7) will feature the annual Requiem, celebrating those “archaeologist and lovers of antiquity” who died in 2013. The destruction of ancient sites in Syria of global significance, to say nothing of their meaning to the citizens of this much suffering nation, was appalling. Looting continued across the Arab world, as dealers and collectors took advantage of people desperate to feed and house themselves. The Marconi Factory: Chelmsford demolished its 1930s birthplace of radio. At the magazine itself, we’ve been kept busy by the usual round of finds, events and dubious happenings that seem to occur daily. The biggest thing for me is what I think of as the arrival of community archaeology (celebrated in the last edition of the year). 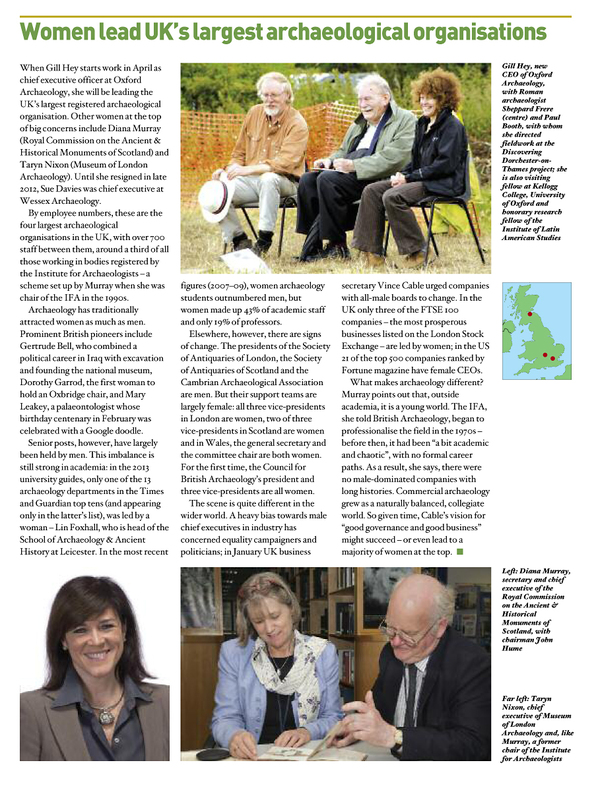 It’s been around for a long time, and the magazine’s publisher, the Council for British Archaeology, has been a leading light in its development; the CBA has been running a training scheme since 2011. What’s changed, I think, partly through sheer momentum, is that community archaeology has moved from being a bunch of well-meaning principles about engaging the public in what archaeologists do (you have to start somewhere), to a real force of its own. Not only are many people now enjoying being their own archaeologists, they are finding new things out and conducting original research. Next up: the annual conference at which community archaeologists wonder how they might involve professional colleagues in useful fieldwork. In 2010 I blogged about the relatively low representation of women in British Archaeology. Has that changed? 2009/10: Of 53 feature writers, 13 were women (25%). 2013: Of 65 feature writers, 19 were women (29%). 2009/10: Books reviewed were written or edited by a total of 140 people, of whom 36 were women (26%). 2013: Of 71 writers/editors (the review pages have been reduced to two or three), 18 were women (25%). 2009/10: Of 18 author photos, four were of women. 2009/10: All six interviews (My archaeology) were of men. 2013: Four men, two women. 2009/10: 53 women in a total of 217 (24%). 2013: 44 women in a total of 160 (28%). Not much change, then. On the bright side, I ran a news story in April headed “Women lead UK’s largest archaeological organisations”. Perhaps they’re just too busy to write. Next Post What’s in store for Richard III in 2014? Re: Stonehenge parch marks… what do you think of the idea that perhaps it was planned to be completed but never actually was? I noticed that the stoneholes for 17 and 18 appeared to be more regular (circular) than those for 19 and 20. I wondered whether the entire ground plan was laid out first by digging all the relevant holes and backfilling them with chalk prior to the stones arriving, at which point a stonehole was emptied of the chalk to be replaced by its stone. Hi Simon. We won’t know without excavation (which would show us not just a feature in plan, but its structure and history), but I think those pits are unlikely to be filled with chalk, else they would not make such clear grassmarks (I doubt that Pit 97, whose fill was very chalky, would show either in geofizz or grass – some of it still remains in situ). Such excavation could be extremely productive (we still need all the dating evidence we can get), but I’d rate a couple of Y and Z Holes as high priority; we really don’t know what those are, or when they were dug.